You don’t need to be a U.S. citizen in order to be able to buy a house here; but do know that investing in real property in the country won’t give you any additional privileges in terms of your stay or residency. You can purchase property with cash. However the U.S. government will need information about the money and how it was earned. Reporting cash transactions exceeding $10,000 to the federal government is required by law. 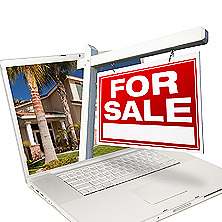 International investors can purchase just about any kind of property. Most co-ops (housing cooperatives), however, do not allow foreign ownership. If you don’t want to use cash, you can opt for financing as long as a lender will deem you qualified. Most banks will have more stringent requirements for foreign buyers – a higher down payment of 30-40%, for example, and they will require proof of income and assets. While purchasing real estate in Florida is a fairly streamlined process as a whole, it’s still best if you get help from a local real estate professional. A knowledgeable Realtor will be able to guide you to the neighborhoods and properties that meet your needs and advise you as to local market trends. Note: real estate agents in the U.S. need to be licensed. In Florida, the agency responsible for licensing is the Florida Real Estate Commission (FREC). 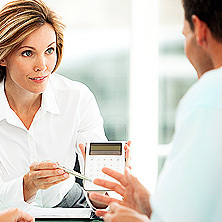 If you don’t already have an attorney and an accountant here, then you should get started on finding the right ones. You will need their advice later on in the process. There are many ways to structure your investment in U.S. real estate, each of which will have its own advantages and disadvantages depending on your particular goals. This is why it’s important to let your advisors know what your objectives are. If your advisors know what you want to do with the property – whether you want to use it as a second home, an investment, etc. – then they can advise you accordingly. Structures include direct ownership by an individual or ownership through entities such as a real estate investment trust, a domestic corporation, and so on. Discuss with your accountant the possible taxation implications of investing in real estate in the U.S. The Foreign Investment in Real Property Tax Act (FIRPTA) requires 10 percent of the proceeds to be withheld when foreigners dispose of real property in the U.S. Exceptions may apply for certain situations. Foreign Investors interest in Florida real estate has never been greater. According to the National Association of Realtors, Florida is the number one State in the Country with the largest number of foreign investors purchasing property. For the past four consecutive years approximately 25% of all sales in Florida were to foreign buyers. Not surprisingly, the single largest block of foreign buyers has been Canadian buyers, our friends to the north. The dramatic strength of the Canadian dollar coupled with market place price adjustment has led to the perfect opportunity for Canadians to purchase their dream home in the sun.